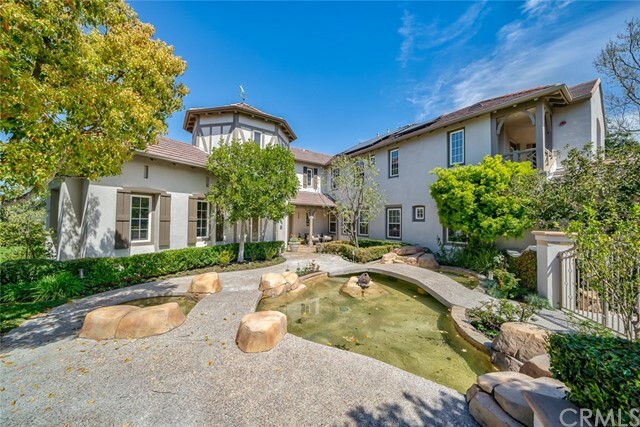 All Coto De Caza homes currently listed for sale in Coto De Caza as of 04/25/2019 are shown below. You can change the search criteria at any time by pressing the 'Change Search' button below. If you have any questions or you would like more information about any Coto De Caza homes for sale or other Coto De Caza real estate, please contact us and one of our knowledgeable Coto De Caza REALTORS® would be pleased to assist you. "Located on approximately 5.8 acres in the exclusive Los Ranchos Estates, the Premier Equestrian Estate has stunning views, impeccable appointments and finishes. 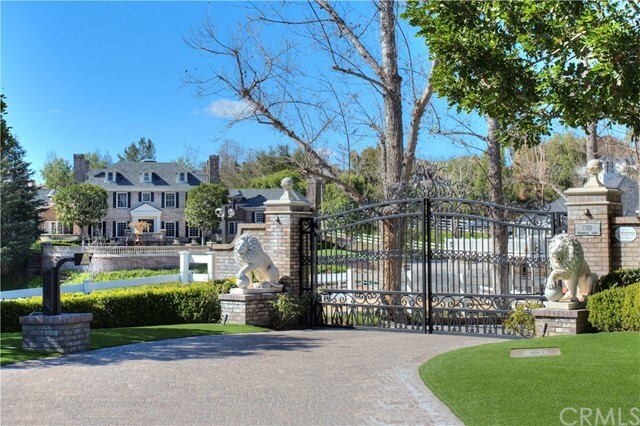 Entirely gated, the European-Georgian style estate offers privacy and a luxury lifestyle, a long driveway lined with mature trees and a three-bedroom guest house with large view decks. The manicured grounds include a formal rose garden, a riding arena and a 6-stall barn with two breeding stalls, an office and a tack room. Great for entertaining, the estate has an impressive entry, limestone and hardwood floors and formal living and dining rooms. The spacious family room has a metal coferred ceiling, a fireplace and French doors that lead to a secluded backyard with a fireplace and covered entertaining pavilion. The dream kitchen has wood cabinetry and a large nook with French doors. The subterranean wine cellar holds 1000 bottles. The library features a fireplace, wood paneling and beveled glass doors. No expense has been spared in the main floor guest suite, the powder room with limestone floors, the hobby room or the lavish master suite. Beautifully renovated, the estate has Ralph Lauren wallpaper, extensive wood moldings, millwork and custom window treatments. Wainscoting, linen wallpaper, stone counters and custom wood cabinetry add to the appeal. The perfect legacy property, this timeless Georgian estate also offers two secondary bedroom suites, a gym, bonus room and a pool/spa with an adjacent cabana. Quality!" 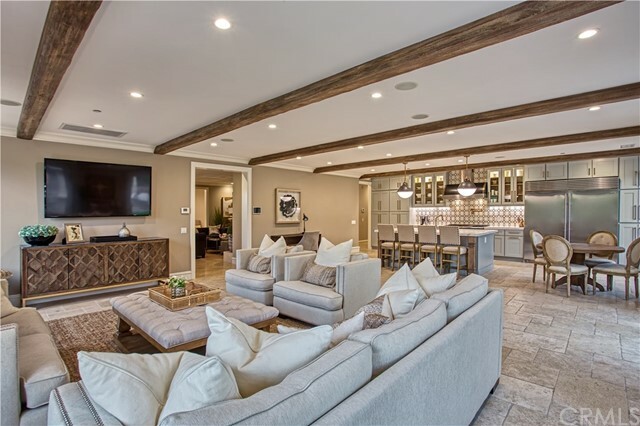 "Nestled on a gentle hillside in the guard-gated community of Coto de Caza, this grand custom estate has just been transformed via a complete renovation into a residence that rivals brand-new homes of distinction. Nearly 9.58 acres reveal a gated resort-caliber oasis with 2 tennis courts, a large pool with spa and rock waterfall, 2 putting greens, a half basketball court, fire pit with built-in seating, a koi pond, 6-car garage, and a built-in BBQ with new countertop and sink. The fully completed lower half of the property is joined by an undeveloped upper area that offers ample space for a second view-enriched estate. A stunning 7-bedroom, 5.5-bath main house spans approx. 7,665 s.f. and is joined by an opulent and updated 2-bedroom, 2-bath guest house measuring 2,621 s.f. Introduced by a phenomenal foyer with semi-spiral staircase, the main residence reflects the talents of a professional interior designer who created a brand-new ambiance throughout by incorporating hand-selected amenities. All-new hardwood flooring, tile and carpet harmonizes with new recessed lighting, on-trend paint and finishes, restored fireplaces, remodeled bathrooms, and new Restoration Hardware chandeliers. The brand-new chef s kitchen shines with custom countertops, white cabinetry, a nook and top-tier appliances. Upstairs, a generous loft provides passage to guest bedrooms and the magnificent master suite, which exhibits a deck, wet bar, 2 walk-in closets, a 2-sided fireplace and stand-alone tub." "Sprawling lawns with breathtaking views provide the perfect setting for this stunning single story Mediterranean home on six acres in the exclusive Los Ranchos. Extraordinary vistas of sunrise and sunset views will take your breath away as you enter through the private gates traveling up a long driveway to the impressive single story home with inviting verandas and stunning columns. This is the perfect property for entertaining as well as family living: a barn, riding area, pastures, three holes of golf, tennis court, wet sauna, inviting rock pool with spa and many waterfalls. Highlights for the kids include green lawns just to play and run around, play tennis or play house in the cute doll house. Four bedroom suites, two additional rooms which can be made into bedrooms, two offices each with fireplace, gym, formal living & dining rooms each with fireplace, sitting room with fireplace, large family room with fireplace and bar entertainment center with French doors leading to the front veranda to watch the sunset views. The family kitchen with a large nook and a fireplace has wonderful views of the rock pool and waterfalls. The romantic master suite features a fireplace and French doors to the veranda, master bathroom with steam shower and a large walk-in closet. Stunning grounds and amazing views and land forever! For the car collector, there are six garages. The barn has a four-car garage and two flats - one bedroom and two bedroom, each with a bathroom and kitchenette." 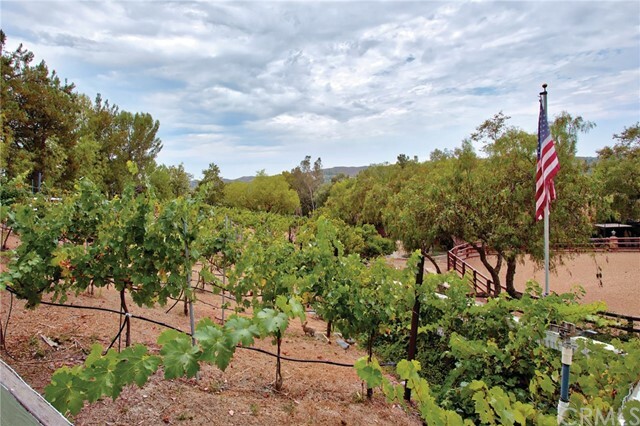 "Located in the Los Ranchos Estates, behind the gates of Coto de Caza, this vineyard and equestrian estate spans nearly three acres. The vineyard is comprised of 385 plants, currently yielding about 12 cases of wine a year, with up to 50 cases in 3 years. The wine cellar can hold 1,700 bottles and all the equipment to make the wine is included. On the sprawling property, there is also a state-of-the-art equestrian area with a riding arena, fully-equipped 4-stall barn and tack room, an upstairs office with a balcony, and a downstairs western saloon. There is direct access to riding trails and a short ride to the Equestrian center. The main residence of approximately 8,000 square feet features 2 master suites, one on each level, and 3 ensuite guest rooms. The modern floor plan creates a beautiful living space with a chef-inspired kitchen that opens to a formal living room and dining area, family room with a fireplace, and full bar perfect for entertaining. The private guesthouse, overlooking the pool, includes its own living area, ensuite bedroom, laundry room and outdoor kitchen. The manicured grounds include alfresco dining areas, fruit trees, a koi pond and water feature, built-in barbeques, and a sparkling pool and spa. For added security, there are 12 cameras on the property as well as plumbed Southwest Security monitoring." "PRIVATE, TURN KEY & QUALITY! Hidden Estate is a 4.8-acre premier equestrian estate, priced decisively below replacement cost. Featuring 6 bedrooms, 6 bathrooms, stately den, billiards/game room, bar and great room, the property is hidden behind a private gate, expansive driveway and mature landscape; a breathtaking iron door, two-story foyer, hickory floors and impressive chandelier greets visitors. 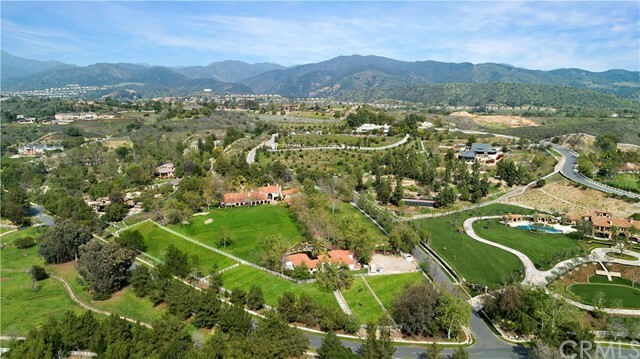 The lush grounds include an equestrian arena with 360 degree VIEWS, two tack rooms, five-stall modular barn, hay barn, paddock, chicken coop, olive, spruce, sequoia trees, oak groves, direct access to 25 miles of trails and lots of space for additions. Outdoor oasis with waterfalls, pool, spa, built in BBQ and French fountain. Impeccable French Country Kitchen has maple cabinetry, commercial appliances, dual dishwashers, Italian marble counters, automatic window shades, wine room and breakfast nook. Over 2,000 sq. ft. master includes patio, reading area with library and ladder, fireplace, coffee bar, walk-in-closet and views. Master bathroom with Italian marble, towel warmer, double showers, bidet and luxurious tub. Maitland Smith fixtures, Ralph Lauren wall coverings, 2 laundry rooms, central vacuum, 3 car garage, could be 8 car garage if barn converted. Supercharger, commercial wifi irrigation, fenced dog yard and 5 fireplaces. You own Equestrian, Golf, Tennis, Soccer fields for sport minded buyer or car collector or for the one who wants to dream on. Turn key property!" 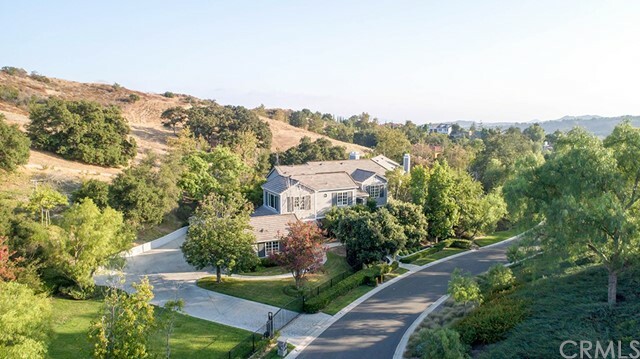 "Coto De Caza's BEST value opportunity is here, at 48 Cambridge Ct. Spanning nearly 12,000 sqft and situated on an elevated 3.23 acre lot, this custom built private gated estate is perched on one of Coto's premier lots overlooking the city lights, hills & mountains as far as the eye can see. Having just undergone a large scale cosmetic renovation, the home has been improved to now showcase a clean contemporary, light and bright personality. Over-constructed, the home was erected on I-Beam steel framing, reinforced foundation & includes a 350' well that services the property irrigation, drastically reducing maintenance costs. Upon entry you are greeted by a dual staircase and 28' soaring ceilings w/ two stories of high rise building window systems that opens to the outdoor terrace with infinity pool, spa, and outdoor bar. Oversized gourmet kitchen that opens up to an outdoor kitchen and adjacent entertaining great room. Flanking the formal living room is a flexible entertaining quarters with karaoke stage and pub. Magnificent approx 3000 sqft master suite with observation deck, oversized chic spa-like bathroom with two separate toilets and Finnish sauna. 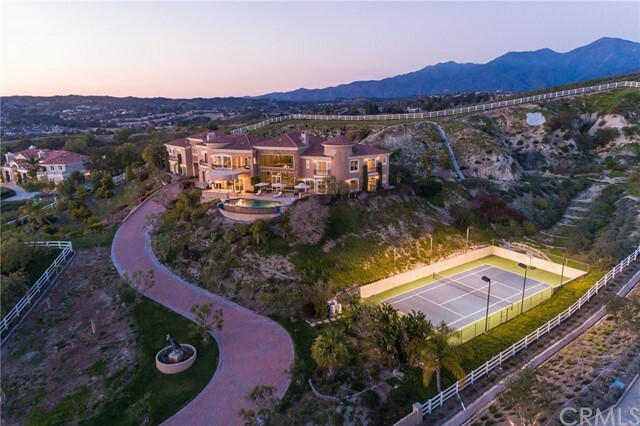 The fully fenced estate includes an official size, lit tennis court & private access to the trail system. Addl. features include handicap size elevator, sound & intercom system throughout, fire sprinkler system, laundry on each floor. Ceiling heights of 10' & 11.5', 2 wet bars and fuel modification approval for entire property"
"Spectacular Entertainer s dream home located in the exclusive guard gated community of Los Rancho Estates. The home which recently went thru a multi-million dollar renovation offers 7 bedrooms (including maids/guest quarters) & 7.5 bathrooms & is perched up high on 6.5 acres of an equestrian zoned property.The grounds include a 2 hole golf course, putting green, tennis court, salt water pool & spa & glorious sunset views! Enter the private drive thru the gates & into this stunning masterpiece. State of the art gourmet kitchen w/top of the line stainless steel appliances includes Sub- Zero frig/freezer, Wolf stove,Fisher Paykel dishwasher drawers, ice maker, frig/freezer drawers, wine frig, breakfast bar & large pantry. Dining area & large living rm w/dual fireplace & pocket doors both overlooking the pool & forever views. The family rm w/pocket doors, fireplace, restaurant style bar w/fiber optic lighting & 1000+ bottle wine cellar opens to the pool area making a great entertainment area for fun gatherings. Stunning master suite w/incredible views, wrap around balcony, luxurious master bath & huge his/her walk-in closets. Features incl: multiple outdoor entertaining areas, wrap around balconies, BBQ island, outdoor fireplace, sauna, custom lime stone flooring, soaring 30 foot ceilings, slate roof, 5 car garage, office area, surround sound inside & out, smart home system, 4 a/c units, retractable shades, security system, 3 fireplaces,room for guest house, riding arena & stable"
"Presenting a remarkable opportunity to purchase one of the largest properties in the prestigious guard gated community of Coto de Caza.Nestled in the highly desired Forest area, this incredible nearly 13,000 square foot home is situated on a massive 7.8-acre lot with panoramic view of Coto and the surrounding mountains and hills. This site provides an incredibly rare opportunity to put your own spin with infinite possibilities to create the most spectacular custom estate. The current home on this spacious lot boasts a grand foyer, dual staircases flanking the impressive living room, massive chef s kitchen, warm wood finishes, custom wrought iron detailing, beautiful archways and columns, and endless spaces to entertain. Coto de Caza is one of Orange County s finest master planned communities with two country clubs, golf courses designed by Robert Trent Jones Jr., equestrian facilities, tennis courts, sports club, parks, pools, and much more." "Los Ranchos Estates family compound on a rare 2.1+ acre level site graced with mature trees adjacent to open space & trails. Zoned equestrian, this timeless traditional home & entertainment/guest house offer boundless opportunities for living, be it multi-generational or converted back to equestrian use. There is a large pasture that could house additional structures, tennis court or grazing for horses. Current amenities on the site include a sports court, salt water pool with slide & waterfall, spa, BBQ center, putting green & a commercial zip line! Capitalizing on the private oasis is a back yard loggia & fireplace along with an expansive front veranda & at the guest house yet another large patio with fireplace. Entering through a private gate, you approach the main house down a driving path onto a motor court. The main house consists of a living/dining area with soaring wood ceilings & stone fireplace, also a family room opens onto the well appointed kitchen. This home does not shy away from its well defined living spaces. The spacious main floor master suite has a separate sitting room with fireplace. The second floor has another three bedrooms en suite, a loft/study & a bonus room. The guest house is a wonderful entertainment venue with a huge bar, wine room, theatre & small gym. On the upper level is a one bedroom apartment suite. If a more modern look is your taste, see the final two photograph renderings." "Situated upon a private hilltop lot at the end of a private cul-de-sac, this single story Los Ranchos Estate is unlike any other home you will find in Coto de Caza. Not only are you surrounded by some of the most prestigious homes within the gates of Coto, but you are afforded a great deal of privacy and seclusion. The spacious master suite has been designed with the finest amenities and design details available including a separate office with panoramic views, private workout room with a home sauna, and spa like master bathroom with dual vanities, Jacuzzi tub and Travertine steam shower, plus two oversized walk in closets. 4 additional secondary bedrooms are located in the back portion of the house, each with a private remodeled en-suite bathroom. The gourmet chef's kitchen has been completely remodeled with stainless steel appliances including a large SubZero fridge, double ovens, 6 burner gas range stove, custom countertops & backsplash, center island with counter seating and much more. Situated on 5.3 acres, the sprawling backyard has been masterfully designed to maximize the space including a salt water pool and stacked stone spa, covered outdoor Firemagic BBQ entertainment room, numerous seating areas, mature landscaping, custom hardscape, fully gated, natural vegetation and more. Upgrades throughout this magnificent estate include a whole house surround sound system, Travertine floors, crown molding, exterior lights and a iAquaLink 2.0 Mobile Control Smart Pool System." "Welcome to 6 Sawgrass, an elegantly designed newer estate on over 1.8 acres of land. The owner spared no expense with exquisite custom finishes & designer touches throughout. Every area was designed to capture a focal point. No matter where you stand your eyes are drawn to focus through beautiful archways. Stunning living room with custom fireplace & a formal dining room with elegant chandelier. Downstairs includes an Executive office with custom builtins, main floor guest bedroom with private bath + adjacent gym can double as guest quarters living area, large family room,wine cellar & mud room with fridge, sink & ample storage. Gourmet kitchen fit for a chef features stainless steel appliances, 6 burner range, ice maker, 2 sinks, warming oven, center island, walk-in pantry, butler s pantry & desk/office space. Upstairs Master Suite is the definition of luxury including a private retreat with fireplace & built-in entertainment center, balcony, two walk-in closets, view of the grounds. Spa-like Master bath completes this stunning master suite. Oversized bonus room features a built-in entertainment center & direct balcony access. Laundry room, private work station + 3 oversized secondary bedrooms with private baths complete the upper level. Resort style backyard is an entertainer s dream with pool,spa,covered outdoor entertainment area with wet bar,counter seating,ice maker, BBQ & fridge, sport court, putting green, orchard with oranges, lemons, avocados & limes. Low Tax Rate!" "Your dream equestrian property awaits you in the exclusive Los Ranchos Estates of Coto. This sprawling estate will impress you with its privacy, sophistication and long list of amenities. Privately gated with front and rear motor courts, this property is situated on over two, flat acres. The equestrian facilities can accommodate up to 12 horses with three turnouts, tack room, 4 covered stables, 4 exterior stalls, hot walker, well water and more. In the main house, there are four bedroom suites, two offices, a bonus loft area and a huge game room with wet bar. The interior exudes warmth with French oak hardwood flooring, exquisite carpentry including coffered ceilings, built-ins, crown molding and wainscoting. The kitchen boasts two sub zero refrigerators, commercial size Wolf range, two dishwashers and butler s pantry. The bathrooms have all been carefully designed with custom stone work and individuality. The guest house has 3 bedrooms, a full bathroom and two expansive decks with lovely views. The captivating grounds include a saltwater, pebble tec pool with slide, expansive grassy area and a long, tree-lined driveway behind its own private gate. There is also a private rear gate that is adjacent to the Coto Equestrian Center. Come see what the Coto lifestyle has to offer in your own private paradise." "Once in a great while a truly inspiring property comes to the market that fulfills every wish. We present The Lotus House. This remarkable privately gated custom estate sits on over two acres of land in the secluded Enclave Community of Cota De Caza. The architecture is Frank Lloyd Wright inspired and breathtaking as you approach the home. A stunning pool is the centerpiece of the grounds with infinity edges, water features, swim up bar, and your own bridge. Entertaining is effortless with the resort-like grounds featuring multiple spaces for your guests to enjoy time with you. As you tour the home, you will quickly come to realize that each and every window provides a view of the surrounding hillsides. The Lotus House offers a palatial master retreat, on the first floor, with private garage access, exercise room, sitting room, patios and direct access to the grounds. There is an additional bedroom on the first floor with ensuite bathroom. A truly special property for the most discerning buyer with just under 6500 square feet of living space. This magnificent estate offers the best of the best." "Located in the guard gated enclave of Coto de Caza-no expense has been spared with this private estate home. The finest finishes are found in this gorgeous remodel with impeccable attention to detail. The yard with salt water pool, custom fountain, mature flowers, and multiple species of fruit trees is spectacular. As you enter the home you will feel the cool breezes that flow through with its dramatic ceiling heights and French doors to the back for true California indoor/outdoor living. The oversized chef s kitchen is truly an entertainer s dream as it opens to the family room and a one-of-a-kind floor to ceiling Mountain Bluestone wood burning fireplace which makes for cozy nights of gathering. Downstairs you will also find a formal dining room, private office with custom wood built-ins, ensuite bedroom, walk-in butler s pantry, and custom laundry room. The second level provides a grand master suite including fireplace, seating area, and private balcony with panoramic views to enjoy your morning coffee surrounded by the splendor. The adjoining master bath is your own luxury spa with walk-in closet, dual vanities, skylights, open custom stone shower, and separate soaking tub to take in the gorgeous views and natural light. The home features three additional ensuite bedrooms, a wall of cabinets for storage, a separate bonus space for a craft or kids play room as well as an oversized 5 car garage with an abundance of storage. This home is even more amazing in person." "One of the most wonderful entertainment homes in the Weatherly Tract. Rare single-story home which is approx. 5 bedrooms & 4.5 baths, 5684 sq. ft. with 4 car garage boasts Panoramic West Facing Views and sits on a 1-acre lot. Features custom woodwork, stone elements, custom lighting, wood and stone flooring with a game room/office and an outdoor living space with travertine counter tops, an outdoor kitchen with refrigerators, built-in BBQ with ovens, ice maker and Infratech dual element heaters for maximum comfort. The pool has been updated with travertine coping, tile and beautiful pebble tech providing a wonderful oasis for swimming and sun bathing with an outdoor shower. There is also a full basketball court or sports court for volleyball or tennis. This state of the art home has surround sound throughout, LED lighting, security cameras and digital life light controls that are controlled by phone or computer. The kitchen has been fully remodeled with espresso cabinetry, updated appliances and a wonderful bar with breakfast nook adjacent the large family room that has plenty of windows to enjoy incredible views. There are also courtyards and a grassy area with plenty of room to build on. The master has a relaxing suite and the bathroom has beautiful stone and travertine elements throughout with his and hers areas and closets. The spacious secondary bedrooms are nicely designed with full baths that have been modernized. This is a rare & special home that you must see!!" "Situated on a quiet cul-de-sac street, ultimate entertainer's estate in Coto de Caza's Arbours Neighborhood, more than 1 acre of mostly flat space provides the various luxurious settings. Recent amazing remodeled throughout inside & out : grand marble floor entrance open to dramatic spiral stairway w/upgraded carpet , cathedral ceiling with beautiful chandeliers, a formal living room w/ fire place, and inviting dining room, gourmet kitchen w/selective granite counter tops, island w/ brand new cooktop, built-in Viking Refer/freezer. Custom drapers, hardwood flooring. Recently changed heating and cooling system. Upstairs Master Suite has Two Bathrooms & Gym, 2 secondary bedroom suites, bonus room, main floor office and 4th bedroom suite. Beautifully landscaped rear yard includes Large grass area, pavilion w/fireplace, BBQ, resort rock pool w/Grotto,& SPA, 3 waterfalls, waterslide, shower, Exterior music system, lighting syst. Equestrian Arena, 2 stall breeding barn & paddocks, wash racks, Blt-in entertainment center w/3TVs. Just minutes from the main gate surrounded by neighborhood shopping centers, restaurants. All public schools are top ranking 10, and great private schools are only a few minutes away. What a Paradise for a happy family!" 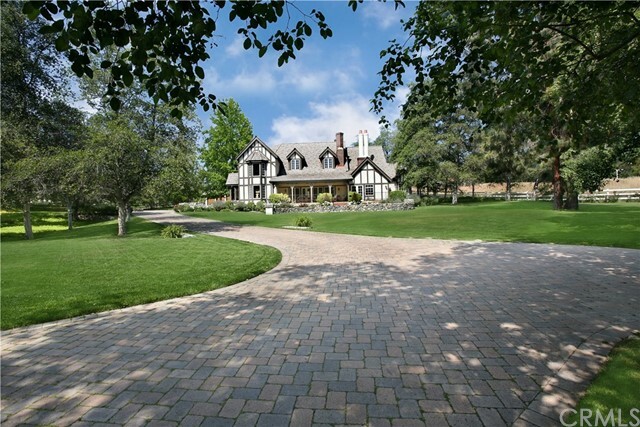 "Custom traditional estate with breathtaking curb appeal situated on 1.5 acres of land. Flowing floorplan with windows in every room allow for plenty of natural light. Formal living room with fireplace boasts peaceful views of both the side and front yard. Gourmet kitchen is fit for a chef with stainless steel appliances, double ovens, built-in gas range cooktop, dishwasher, refrigerator, center island with additional sink, butler s pantry, menu desk/recipe counter, and ample cabinetry space for storage. Kitchen opens to large family room with fireplace, built-in shelving, and entertainment center. Downstairs includes laundry room, an office/bedroom w/ built-in desk and storage area, and detached guest quarters with en suite bath. Upstairs Master Suite is the perfect getaway complete with high wood beamed ceilings, retreat, fireplace and views of the backyard. Recently remodeled master bath boasts his & hers sinks, freestanding bathtub, and shower with additional rainfall showerhead. The upper level features an expansive bonus room with wet bar, microwave and under counter refrigerator, Four secondary bedrooms, one with en suite bath and two sharing a Jack & Jill bath. Fourth bedroom is separated with its own staircase, perfect for guest/maid s living quarters. Entertainer s dream backyard features water fall pool with waterslide, sports court, large grass area, cabana with ceiling fan and built-in bbq. Multiple levels of viewpoints cover the backyard hillside. Low Tax Rate!" "Welcome to 6 Hidden Oaks located in the Stonefield Estates of Coto de Caza. This elegant and stylish 2.5 Acre custom estate has been upgraded with the finest attention to detail. Stunning entry greets you with elegant marble floors, high ceilings, and an abundance of natural light. Sophisticated lighting fixtures throughout home dazzle. Completely Remodeled Huge kitchen fit for a chef with marble countertops, Subzero refrigerator, 2 Thermador ovens, 2 dishwashers, Thermador stove top, wet bar, & butler s pantry. Kitchen opens to family living area with 2 state of the art folding lanai doors leading to entertainer s dream backyard. Exquisite formal living and dining rooms designed with sophistication. Downstairs office features coffered ceilings and wine cellar. Upstairs master suite with high ceilings features a beautiful stonework & fire feature are perfect for relaxing. Spa like master bathroom features 2 walk-in closets with built-ins, dual vanity, 2 toilets, huge jetted tub, and huge walk-in shower with dual shower heads. Additional 4 guest bedrooms each have en suite bathrooms & too many upgrades to list. Incredible backyard features multiple entertaining areas, salt water pool with slide & spa, built in BBQ, fireplace & lighted sports court. Covered patio with features built-in BBQ, refrigerator, sink, fan, TV, Speakers, & bar with granite countertops. Recently remodeled with marble floors & designer touches throughout. 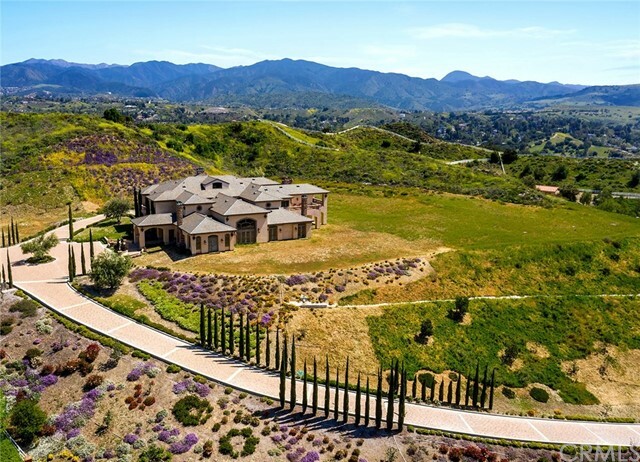 Come experience this Premier Coto de Caza Estate!" 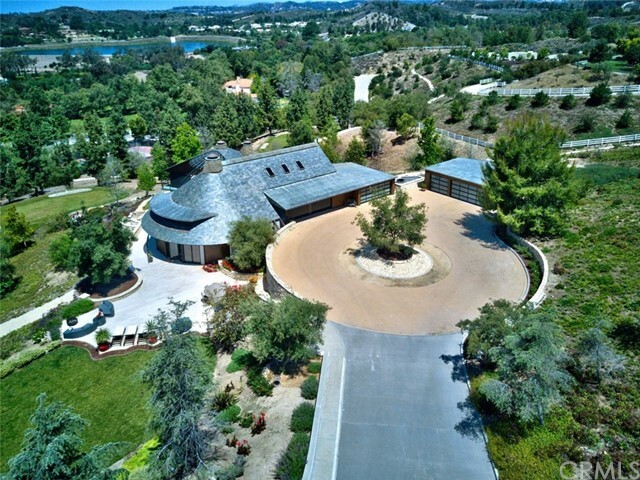 "Two homes, Private COTO DE CAZA equestrian estate with additional private entry gates and a long driveway. With over 3 acres! The main house is 5300 sq. ft. All bedrooms are ensuite bathrooms including one main floor bedroom. The pool, spa and BBQ are perfect for entertaining. Combined inside parking for 10 vehicles, with one Garage Large enough for a Boat. The guest house has 2000 sq. ft. of living space with 2 bedrooms and 2 bathrooms, fully equipped kitchen and additional 7 car garage. Potential of $36000/yr. income. Entertaining is easy with space to park more than 20 cars. Premium location is walking distance to Coto de Caza Country Club which includes world-class 36-hole golf course, tennis, Hiking, biking, equestrian facilities, 200 plus stables, endless hiking trails in the Cleveland National Forest." 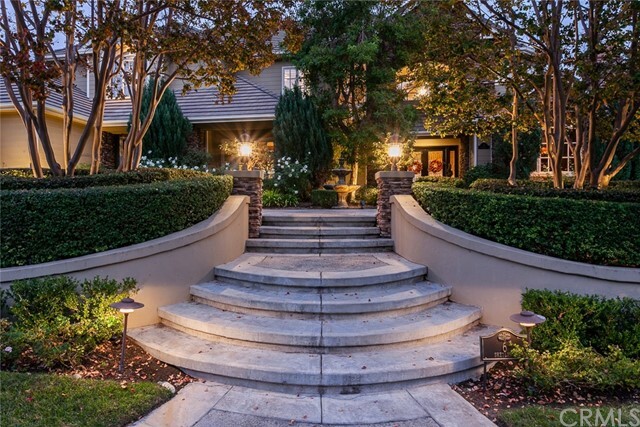 "Beautifully remodeled custom estate in the gate guarded Coto de Caza. A long private driveway with a signature Oak tree. The 1.2 acres is covered in redwood trees, liquid ambers, sycamores, evergreens, apple, lemon and lime trees. Room and ready to start your own vineyard. Amazing landscaped hillside with walking trails and stairs to walk your private hill with Saddleback Mountain view. The entry has custom carved arched double doors, newly remodeled kitchen has freestanding wolf, sub zero refrigerator drawers, sub zero paneled refrigerator, farmhouse sink and custom cabinetry with self glide close drawers and custom pulls. Large island with lot's of storage and custom lanterns. Breakfast nook ,prep kitchen and walk in pantry behind the kitchen. The dining room has stone floors and wrought custom iron railings, skylight with iron and crystal chandelier. Pella windows and custom doors throughout, 12 foot ceilings with light beams enhance the open floor plan. French doors open to the new limestone patio, with heaters, covered area and fireplace. The backyard is newly graded, 7 trees removed and ready for a pool. Or grass play area.Or a small barn to the side and a horse area. The main house has 4 ensuite bedrooms. Amazing master suite with tall soaring ceilings, picturesque view of Saddleback Mountain, custom built-in closet fireplace and a gorgeous spa like bathroom. There is also a guest house, with marble spa bath, bedroom, living room and kitchen 5 car garage"
"MUST SEE. ENTIRE INTERIOR HAS BEEN UPDATED. PRICED TO SELL. Come tour this incredible, truly CUSTOM home. Stretching over an acre of land, this impeccable Woods Estate is remarkably constructed with custom finishes and elegant design. Striking details range from distressed hardwood floors and elevated ceilings, to expansive bay windows and a sweeping iron staircase. Characterized by the handsome fireplace and dark wood, the executive library is classic and refined. The well-appointed kitchen and great room are complemented by custom cabinetry, entertainer s bar, and 1000+ bottle temperature-controlled wine cellar. The second level boasts three secondary bedrooms, all with individual full baths and walk-in closets, as well as a bonus room waiting to be tailored to any family s needs. The spacious master bedroom features a recently remodeled bath and gorgeous views. 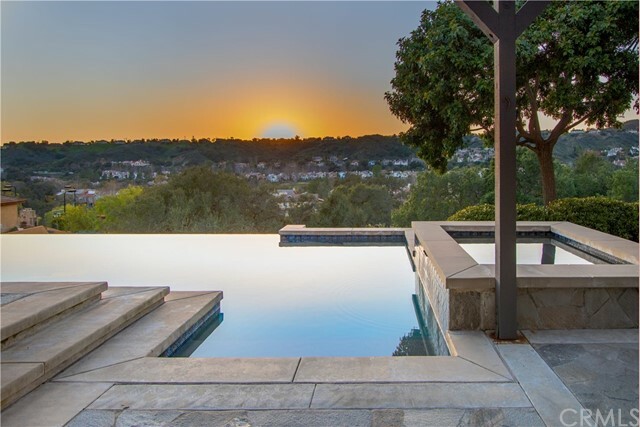 Views from both levels of the home stretch across the pool, spa, built-in BBQ, and sports court in the yard and out to the stunning Coto de Caza Valley." "Stunning Atherton home on a 1 acre lot with ultimate privacy and a picturesque view. Dramatic approach to this estate features a serene resort-like water feature. The rear grounds feature a Custom pool and spa with tube water slide, built-in BBQ with large counter seating, entertainment area, covered patio, fire pit and large grass area that make this home an entertainer's dream oasis. Outstanding floor plan with a main floor bedroom, separate office with rich wood builtins, den area, formal dining with butlers pantry, and large gourmet kitchen that opens to the expanded family room. The upper level features a huge master suite plus 3 additional bedrooms and a bonus room. Highly upgraded throughout with custom builtins, custom moldings and more. 4 car garage with very private circular driveway. Low tax rate. Don't miss your opportunity to own this rare estate!" "Coto de Caza entertainer's delight in The Woods, an exclusive tract of 1 acre custom homes. Elevated lot high above Coto drive for maximum 360 degree view. Private corner lot on a single loaded street with large set backs on all sides. Saddleback mountain and Coto golf course views, plus all of the Coto valley. Main house is 6 bedroom(one is now serving as a oversize bonus)and could easily be made into one bedroom and bonus or two bedrooms. The guest house 8th bedroom) has a full kitchen, family room and large spa bath. Main house 6142 sq feet, and guest house 543sq feet. Gated for privacy this home has been upgraded, over 80k in hardwood floors 2 years old, light grey Venetian plaster throughout. The office has custom built ins and pocket doors when you need privacy. Kitchen with all high end appliances, all within 5 years old, has Island sitting and breakfast nook, opens to family room and amazing outdoor area. Gazebo,pool, water slide, spa, covered patio. Island with BBQ Viking over-sized for entertaining. Fireplace, and lot's of sitting areas . Wonderful floor plan with wood burning fireplaces, custom masonry and a smoker. Additional features include electronic gates at driveway,3 stairways,interior and exterior speakers. formal entry with carrea marble in entry and dining room , living room with fireplace. Sweeping staircase front and back of house. 5 fireplaces ! Kelly Sullivan architect and builder, he has built 10 amazing homes in Coto." "This exquisite, equestrian dream home in the Trails has been impeccably remodeled and redefines turnkey . Panoramic, breathtaking views of the mountains and hills surround this elevated, custom home situated on a full acre. The grounds include a stunning infinity edge pool & spa, built-in BBQ & bar, barn facilities, fire pit & oversized play area, all adjacent to an Oak Grove preserve. The interior is transitional chic, with hardwood floors, designer fixtures, new carpet, new neutral paint, window treatments, new light fixtures and views from almost every room! The remodeled kitchen includes marble counters, white cabinets, built-in, paneled refrigerator, stainless appliances, under cabinet lighting, custom backsplash & walk-in pantry. This floor plan includes a guest quarters that is perfect for in-laws, maid or multi-generational living. The guest quarters include a full kitchen with island, family room, full bedroom, full bath & separate entrance. The main house includes four more bedrooms (each with their own full bath), a huge play room/theater room and separate office with French door to the patio. This property could convert to a total of 6 or 7 bedrooms if needed. The lower grounds include a barn for horses and plenty of space to dream your own backyard design. All of this in one magnificent property close to the Oso gate, on a cul-de-sac street, walking distance to the Coto Club but quiet and private. Don t miss this once in a lifetime view and immaculate home!"